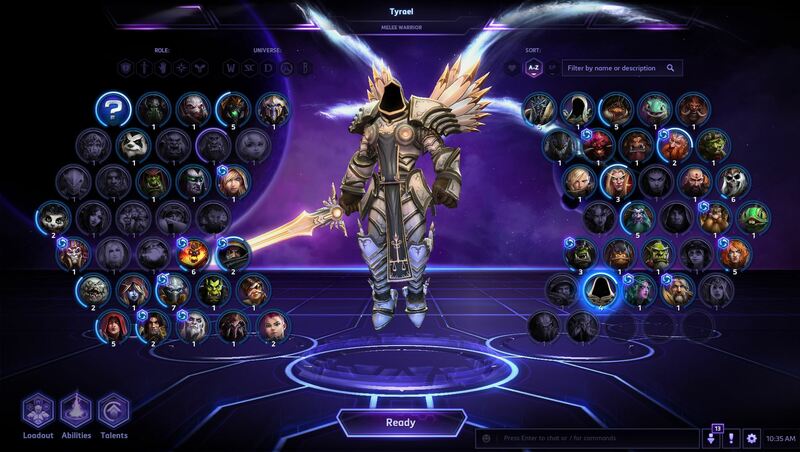 Alright, let’s talk Heroes of the Storm. I kind of fell away from this game for months [and months], apart from my Ragnaros review, which was on both websites. So I came back. What drew me in? Was it Genji? The new Hanamura Map? God no. I hate Genji, I hate his kit, I hate how busted his potential is in both games. Love his backstory and model though. [RE: I hate how bad I am with him.] Free skins in Overwatch! That drew me back in! And the updates to how leveling, mastery, etc works, that also piqued my interest. I assume all new players will receive one of the “Mega Packs”, which is a bundle of characters, that all share something in common: Flexible, Fighter, etc. You can only get one, and you can’t buy one later, so you have to weigh this choice carefully. I chose the Fighter/Tank bundle because that’s my bag: Being a tank, a bully, an obnoxious jerk that leaps into the enemy team and hits as many people as possible. 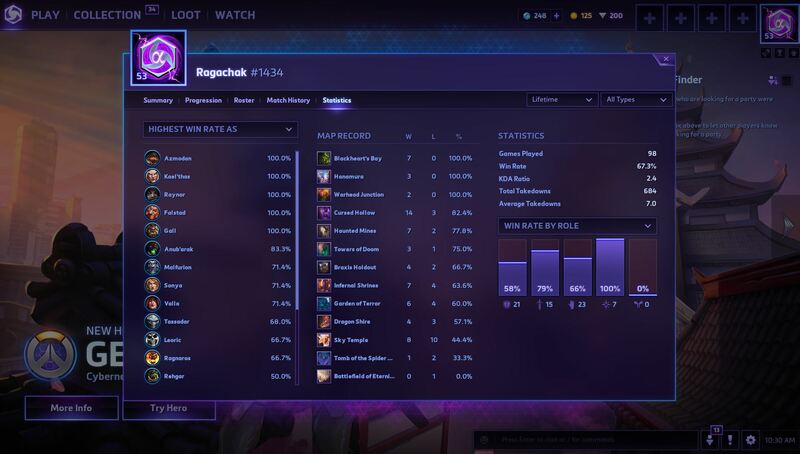 So I’ve been playing more HOTS again with some of the regulars in the Bottom Tier stream, such as Mazzarnlock, my co-host/best friend Colton, and Sarkhane. You need 14 characters at Level 5 for Ranked. 14 is a really… really weird number. It’s not really that hard of a grind, whether you win or lose. It’s even easier if you play with friends, thanks to the EXP Buff you receive for playing with friends. The maps still play the same, and I’ll be honest: I’m not so wild about some of them. I kind of wish you could unmark some of them on Quick Play, to at least remove one or two you don’t wish to play/aren’t good at, sort of like the WoW PVP queue. However the gameplay is still quite sharp, and the quest system is really good. Being able to upgrade/power up powers. Everything about the game is still solid, and I do enjoy it. I never “hated” it. But I don’t really enjoy playing solo. There weren’t huge sweeping changes that I noticed, but they did make it more like Overwatch, and certainly for the better. Gaining an account level gets you a Chest to open, certain milestones get you Epic Chests [which have better rewards], and you can reroll them with Gold a few times, to see if you get something better. Downside? I am so damn tired of getting Voice Lines. I don’t even use them! 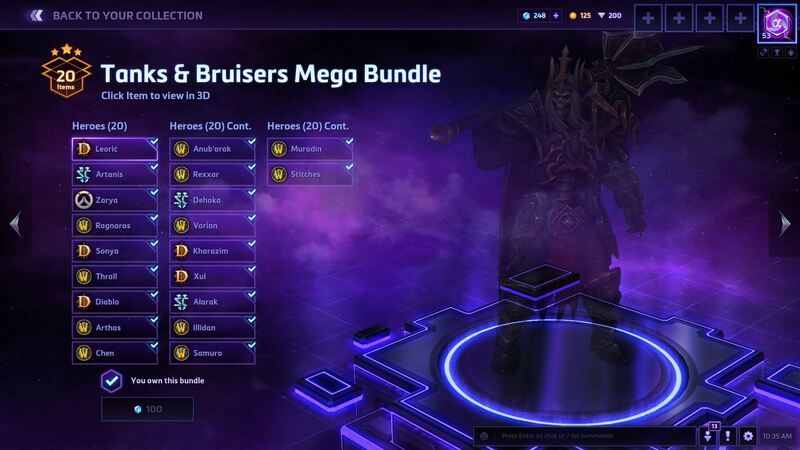 Another downside is getting a skin for a character I do not own. It doesn’t grant me the character, and unless I buy them, it’s worthless. If you don’t have the character, they could refund, or ask you if you want to at the very least. You might be planning on getting them anyway! Though you can also get characters in chests, which is nice. All told, it’s an enjoyable experience. I don’t love it as much as I do SMITE or Paladins, but it’s certainly a lot of fun now. Lots of little quality of life improvements, and one thing I will say, they’re true to their own IPs.